Web Creativity + Digital Communication. the role of creatives in the dynamic, constantly evolving web. is designed to pay tribute to the dynamic qualities of digital technology. 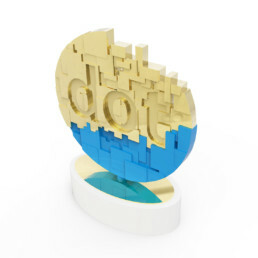 dotCOMM Awards is an international competition honoring excellence in web creativity and digital communication. The competition spotlights the role of creatives in the dynamic, constantly evolving web. dotCOMM Awards offers third-party recognition from one of the most-recognized and highly-regarded evaluators of creative work in the world. Winning a dotCOMM award signifies to employers, clients, prospects and competitors that the winner’s web and digital work is among the best in the industry. Entries come from corporate communication departments, public relations firms, digital shops, advertising agencies and freelancers. Entrants include designers, developers, content producers, digital artists, video professionals, account supervisors, creative directors and corporate executives. dotCOMM categories are the elements of the web’s toolbox. Content, design, social media, video, apps, blogs and influencers are all important components of digital communication, marketing and advertising campaigns. Together, they generate branding, customer engagement and ultimately sales. dotCOMM Awards is administered and judged by the Association of Marketing and Communication Professionals (AMCP), one of the largest, oldest and most respected evaluators of creative work in the marketing and communication industry. Since its inception in 1994, AMCP has judged over 200,000 entries from throughout the world. Two of AMCP’s competitions, MarCom Awards and Hermes Creative Awards, each attract about 6,000 entries each year. As part of its mission, AMCP fosters and supports the efforts of creative professionals who contribute their unique talents to public service and charitable organizations. AMCP does not charge its entrants for work done pro bono and in the past few years alone, has contributed over $250,000 to charitable endeavors.